Dudleytown is a ghost town which located in northwestern Connecticut within the town of Cornwall. Many unexplained events, mysterious disappearances and ghost sightings reported in this small town. According to local legend, the founders of Dudleytown were descended from Edmund Dudley, an English nobleman who was beheaded for treason during the reign of Henry VII. From that moment on, the Dudley family was placed under a curse, which followed them across the Atlantic to America. 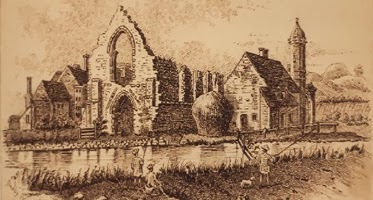 The name of Dudleytown was given at an unknown date to a portion of Cornwall that included several members of the Dudley family. All Dudleys can trace their heritage back to a Saxon named Dudd, who was titled Duke of Mercia and died in 725 A.D. It was Dudd’s land that would eventually become the site of the Dudley castle. An old English word for land was “leigh,” so the area was called Dudd’s leigh. Many centuries later, when the taking of a surname became necessary, some people took a name based on their occupation (such as Smith or Baker) and others took their surname based on the land they came from, i.e., Dudley. The area that became known as Dudleytown was settled in the early 1740s by Thomas Griffis, followed by Gideon Dudley and, by 1753, Barzillai Dudley and Abiel Dudley; Martin Dudley joined them a few years later. Other families also settled there. The story about the curse has been traced to an English nobleman, ancestor of the Dudley brothers who settled the town. Back in England, old Edmund Dudley got his head chopped off for plotting against King Henry VII. Someone or something put a curse on Edmund that followed his family to the New World and took root in Dudleytown. In what is often cited as the first manifestation of the curse, one of the Dudley brothers went insane. Other strange incidents: At a barn raising, a man fell to his death. Lightning struck and killed a Dudleytown woman, right on her porch. Several residents of Dudleytown are also said to have gone insane, and two local women, Mrs. Greeley, better known as Mary Cheney and Harriet Clarke, is said to have hanged herself in Dudleytown in 1872, the latter having reported visions of demons prior to her death. Following the Civil War, Dudleytown slowly became a ghost town. Residents of the town left for better places where they had access to more things. However, John Brophy decided to keep his family there, even though everyone else had left. These would prove to be a fatal mistake. Brophy saw his entire life change within just a few short months. His wife died, and immediately after the funeral, his only two children walked into the woods and seemingly disappeared. His house then caught fire mysteriously and Brophy finally disappeared himself. Following the last resident's death, Dr. Clarke purchased a large plot of land in the area and officially became the owner of Dudleytown, or at least what was left of Dudleytown. Legend claims that the man left his wife there for a few days, and returned to find her completely insane. After screaming about the creatures in the woods, she killed herself in their house. A few years later the man remarried, and built a new house for his bride. Together with a group of their friends, the couple formed the Dark Entry Forest Association. With trees and forests being destroyed across the country, they hoped to preserve the land here. Clarke and his second wife died during the 1940's, but their descendants still live nearby. Rev. Gary P. Dudley, a Texas resident and the author of The Legend of Dudleytown: Solving Legends through Genealogical and Historical Research (Heritage Books, 2001), disputes these accounts of the troubled town. In tracing the genealogy of his name, he found virtually no historical basis for Dudleytown's cursed reputation—no genealogical link to Edmund Dudley, no mysterious illnesses or deaths. As for Mary Cheney, he says she never set foot in Dudleytown. An independent film about Dudleytown, called Dudleytown Curse - The 49th Key is currently in post-production. Unfortunately in December 2011, eight members of the cast and crew were arrested by Connecticut State Police for allegedly trespassing on private land that comprises Dudleytown. Now The Dark Entry Forest Association owns the land, and entry is no longer permitted. There is a warning note from the Connecticut State Police: Those who go, or attempt to go to Dudleytown will be arrested for trespassing and/or parking. The fines start at $75.00 per person and rapidly increase.